Guitar Haven Series. (I) Woods. Hola a todos, 69ers. 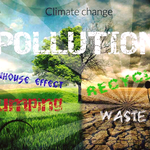 Os presentamos este texto escrito por Jesús M., que engloba un breve resumen de los tipos de madera más utilizados en la construcción de guitarras eléctricas, prestando especial atención en este caso al cuerpo del instrumento. 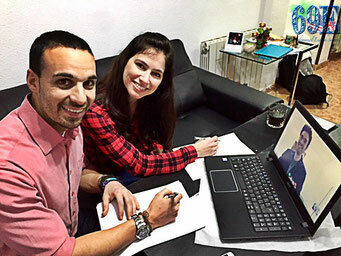 El texto incluye expresiones, palabras y estructuras gramaticales que se practican en los cursos '69English General English, '69English Music English Course, y '69English English 4 Guitar Players Course, teniendo en cuenta el nivel del alumno. Esperamos que lo disfrutéis tanto como nosotros. Let's rock! 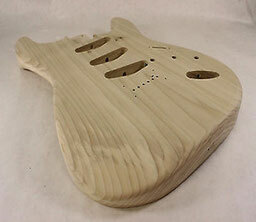 The vast majority of the guitars hitting the market are made out of wood. The role wood plays in the overall sound, feel and looks of the instrument in its final version is paramount. 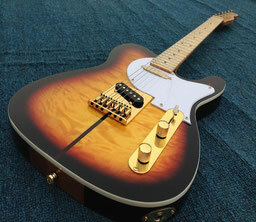 It determines not only the guitar's sound color, but its character and the feeling it conveys. So, you better not lend your ears to those people who try to make a point by stating that the electric guitar is just a plank of wood with one or two mics attached, because they are very far from the truth of what it is really happening inside and outside the instrument. Ask any luthier or guitar player, be it a pro or an aficionado, and you might be surprised with all the acoustic and tonal nuances they can end up talking about depending on the type of wood a particular guitar has. One of my favourite things to do when I visit a guitar store or instrument dealer is to grab the guitar, strum it for a while and carefully listen to the tonal features it produces without being plugged. If you already happen to be acquainted to different guitar sounds, playing a particular guitar unplugged will allow you to recognise whether it is worth your penny or it is, on the contrary, just another dull, mass-produced instrument. That being said, now join me in a brief explanation on the most popular woods found in electric guitars. Mahogany ('Caoba' in castellano) provides a well-balanced, thick, round tone, offering decent definition and a powerful midrange. Regarding its weight, mahogany cuts range from medium to medium-heavy. It is primarily obtained from Central America and Africa. It offers a wide variety of color tones that usually change under the light, ranging from sparkling bronze to translucent cherry hues on red lights. 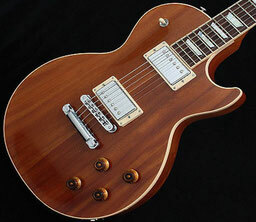 Mahogany bodies are a common feature in Gibson solidbody guitars, where it is additionaly used in combination with maple tops. Maple ('Arce' en castellano) is famous for the bright, shimmering tones it delivers. It can produce high ones rather in the harsh side, with steady lows, but not especially fat. One of the advantages in using maple as a guitar's body wood lies in the aesthetic possibilities it offers: quilt maple tops, dramatically up-to-detail figuring, flame tops and other patterns are coveted among guitar enthusiasts. As for the weight, if the guitar sports an all-maple body, that might be a bit disappointing in terms of handling because it will be a rather heavy guitar. Alder ('Aliso' en castellano) is one of the 'go-to' types of wood if we are talking Fender, sometimes outnumbered by ash. Stratocaster guitars in the early 60s had a very particular tone coming out from their alder bodies: richness and clearness are the main features in a rounded sound, with tight lows and smooth highs, getting fuller in the mid range. Alder is mostly obtained from the forests in the northwestern part in the United States. Alder is not a particulartly heavy wood, so that is another positive point it gets. Poplar ('Álamo' en Castellano) has been traditionally used in floors and to build furniture. 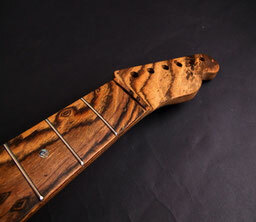 It is a characteristic wood in low-end instruments, such as the ones made in Asia, especially China. This type of wood does not offer a particular sound of its own. This makes the instrument's final sound very dependent on the rest of the built-in elements in the guitar, as well as on other woods used in the same instrument. Some Mexican-made Fender signature series instruments have once used poplar in its construction. 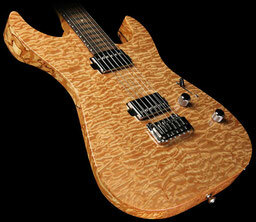 However, it is not a common type of wood to be found in American-made guitars. 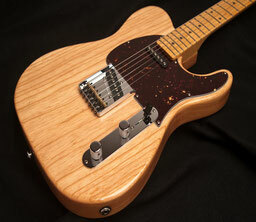 Ash ('Fresno' en castellano) is the type of wood accounting for that distinctive Fender Telecaster sound in the 50s decade, as well as that coming out of those blonde-coloured Strats in the same era. It is a light wood. It produces that cool 'twangy' sound in Telecasters, especially if the body is made of a variety named 'swamp ash', very sought after by guitar enthusiasts because of that remarkable sound it gets: bold, harsh highs, nice and open lows, and sort of 'scooped', rounded mid-range. The interaction this wood presents with water in the natural environments where it is found creates the unique sound features it brings, as the water held in the inner cells of the wood's grain dries staggeringly as it is replaced with oxygen. This fact not only makes the wood lighter, but it also contributes to get that sweet tonality out from the instrument it will eventually turn into. Due to the problem of production development, which makes some of the most popular tonewoods scarce, the industry needs to find alternative wood sources to keep the production up to pace. Consequently, the use of woods that had normally been apart from guitar making began to be intruduced for that purpose. Exotic woods often cause a rise in the instrument's price, which, depending on its tonal qualities, will make the increase in the price justifiable or not. Some of the exotic woods used in the guitar making industry include: koa, wengé, oak, walnut (this one is fairly common), rosewood (very common in fingerboards but only sparingly used in bodies), korina (once used in Gibson Flying Vs and Explorers, now become the stuff of some high-end guitars). Familiarizarse con el vocabulario en Inglés de las maderas empleadas en la construcción de guitarras. Distinguir los elementos conectivos en el texto, para incorporarlos a tu escritura en Inglés. Aprender y adentrarse en la cultura de la guitarra eléctrica.